We have all sinned and fallen short of the glory of God. What that simply means is that no one has ever lived as he sensed he should live. We all have guilt. We all have done things that merit a negative reaction from men and from God. Considering who we have sinned against, we have not simply sinned against the state nor merely against our neighbor, but we have sinned against our God, the Giver of our blessings and the moral authority of our lives. We all deserve His wrath. God's wrath is not a creation of man's imagination but a reality that is acknowledged by all thoughtful men. God is real and we are simply reflections of Him. If we react against sin, how much more does He react against it? If we possess the sense of justice how much more does God? However, while we can hide from the police and from one another, we cannot hide from God. Proof for the reality of guilt can be found in every person's experience. Shame is as real to human experience as pain. We do not experience pain because we believe in it, but we believe in pain because we experience it. We do not experience shame because we believe in it, but we believe in it because we experience it. To deny the reality of guilt and shame is as dangerous and foolish as to deny the reality of pain. The path of wisdom that calls us, as I've said, is not to deny the reality of guilt but to be reconciled to it, that is, to deal with it. But how is this to be done? It is here that many people are failing to understand what Christianity is about. Christianity, like all religions and ways of life, addresses the issue of guilt, but it addresses it in a way that is wholly unlike every other religion and every other way. Besides Christianity, I observe people attempting to deal with guilt in two ways: one, by seeking to ignore and bypass the problem of guilt altogether (Buddhism, atheism, etc. ), or two, by seeking to eliminate guilt and gain a positive moral reaction from God and man through righteous living (Mormonism, Islam, etc.). The philosophy behind this second way is that since sinning causes people to have guilt and shame and merit the wrath of God, by not sinning people can eliminate guilt and obtain peace. This is the religious advice of most religions: be good and obtain peace, or else. The attractive thing about the first non-Christian way, espoused by Buddhism and atheism, etc. is that it seems to work. Once a person denies the reality of guilt, life becomes easier to live, and one can experience a real kind of peace. I have talked with many ex-Mormons who, when they were Mormon they lived their lives in guilt and shame, but once they left religion altogether and became atheists, they started to enjoy life, living in freedom from fear. This is extremely noteworthy. The great problem with this way, however, is that it is a denial of reality. No atheist or Buddhist can ever eradicate the inward sense of righteousness and justice given by God, however much they may have tried to change the rules of the game. And any way which denies reality is doomed to eventually destroy the people traveling that way. 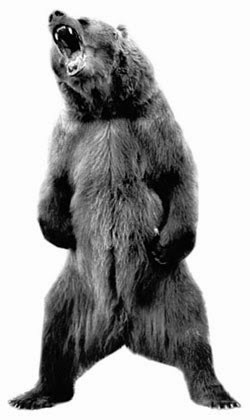 You will end up getting eaten by the bear, and by the time you realize your error your intestines will already be gone, and you’ll curse yourself for your carelessness which enabled you to live without fear for only a few fleeting moments. It was not true freedom and it was not worth it. Both of these non-Christian ways ultimately are ways of unreality. They both seek to deny the reality of guilt in different ways. The atheist seeks to deny that there is such a thing as guilt, and the Mormon seeks to deny that he is guilty. Both are guilty, and neither have been reconciled to moral reality. Now Christianity is all about dealing with guilt without denying reality. The reality is that we have all sinned and fall short of the glory of God. God is real and guilt is real, and we are all in danger. Christianity begins with the acknowledgement of one’s own guilt and danger, but it does not end there. The end of Christianity is freedom from all guilt, shame and wrath, but not in an illusory and temporary way like the atheist, but in a true, upright and lawful way. It is very important to see that the Christian's living situation is just like the atheist's: it is free from guilt and the fear of negative reactions from God. Like atheists, Christians enjoy life and do not fear hell. They do not live under any pressure from rules. But the difference is this: unlike atheists, they are truly free from guilt, whereas the atheist is not truly free, but is only living like a Christian does illegally and delusively. For the atheist the bear is still there, but he finds peace by ignoring it. The Mormon is fighting the bear hoping to obtain peace. For the Christian the bear is gone and true peace has come. Guilt and the wrath of God are gone for the Christian forever because Jesus Christ has carried their sins to the cross and has endured the negative reaction of God against them in their stead, reconciling them once for all to God. “But He was wounded for our transgressions, He was bruised for our iniquities. The chastisement of our peace was upon Him, and with His stripes we are healed. All we, like sheep, have gone astray; we have turned every one to his own way: and the Lord has laid upon Him the iniquity of us all.” (Isaiah 53:5-6) "Therefore, being justified through faith, we have peace with God through our Lord Jesus Christ", and "having been justified by His blood, we shall be saved from wrath through Him." (Romans 5:1, 9) This is the glory of the gospel of Christ. Jesus Christ, God in the flesh, has saved us. He saved us by His death. He rose from the power of the grave and gives forgiveness and eternally life freely to everyone who believes. God has revealed Himself in history in amazing grace and love for undeserving sinners. We do not receive what we deserve, but what we don't deserve, at God's immeasurable expense. We do not have to work for our acceptance with God. Through Jesus Christ we need not any longer fear hell. I cannot emphasize this more strongly: for the Christian, guilt and the wrath of God are no longer a problem. Reality has not been bypassed, but faced and conquered; not by us, but by God for us. Objections about the burdensomeness of many religions is valid except for Christianity. Christ enables you to live the very life of freedom and peace that you desire, but He enables you to do it without ignoring the realities of the moral world. When you become a Christian by putting your faith in Christ (which simply means that you stop ignoring the bear and fighting with the bear, and trust in Christ to deal with the bear for you), then you are totally free to live your life without pressure, fully alive to the moral world, and with infinite gratitude. You can do good because you want to, not because you have to; because you love your neighbor, not because you want to avoid hell and God’s displeasure; because you have seen goodness and not because you are following a command. Check out incredibly radical portions of the Bible like Romans 7:1-6, which say that the Christian is not under obligation to any law. Religions like Islam and Mormonism wonder at this. They wonder how atheists can seek to live morally even though they don’t believe in God and in hell. They forget that all people are created in the image of God with the sense of love, and they fail to see that rules and pressure actually get in the way and hinder living morally (see Romans 7:7-25). True morality is from the heart, freely given and not from external pressure. Atheists and Christians get this. But if atheists can do it, Christians can do it better, because we are not living in inconsistency (seeking to live morally while denying morality), and we have the power of gratitude in our hearts, and the love of God as our example, and true and permanent freedom as our atmosphere. Christianity is not like any other religion in the world. In the way that it addresses the supreme problem of guilt, I know of no other religion like it. There is none. Jesus Christ is the difference. He is "the way, the truth, and the life."